The latest requirements of MARPOL Annex VI will come into force on 1st January 2020, requiring a reduction in the sulphur content of fuel being used onboard. Are you ready for 2020? Still looking for the most economical solution for your vessel? The Wallem Ship Management technical team is here to help our customers with the technical & operational implications of the available options. The team have done extensive research and analysis of the different options available to ship owners, including the pros and cons of each option. The findings have been summarized in an easy to read whitepaper entitled “2020 Sulphur Cap Challenges & Opportunities”. This is just one way how Wallem adds value and supports its customers. 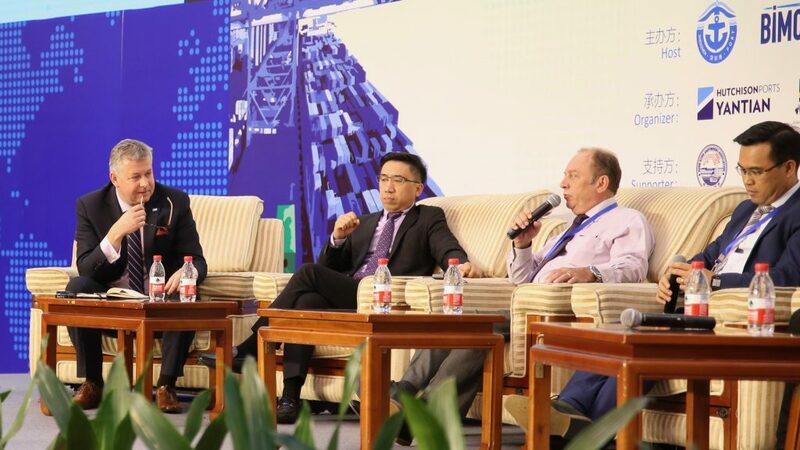 General Manager, Fleet Management Chris Hassall was pleased to take part in the BIMCO Sulphur Cap 2020 & Renewal Energy Conference held on 29th June 2018 in Shenzhen. Chris shared his expert insight on the issues of shipowners’ operating costs, LNG as a solution and forecasts of scrubbers, along with fellow panelists. The conference was attended by over 200 industry people. Please contact Nigel Moore at njm@wallem.com if you would like a copy of our whitepaper entitled “2020 Sulphur Cap Challenges & Opportunities” or if you would like to find out how we can best meet your needs.